Cavities occur when teeth become decayed. Left untreated, the decay can spread throughout the tooth and eventually infect the root, nerves, and bone around the tooth, triggering the need for a root canal or even causing the loss of the tooth. Fortunately, there are multiple things you can do to prevent cavities that are simple and easy enough to do every day. Protect your oral health can reduce the need for time-consuming dental treatments with these steps. Brushing and flossing are the easiest—and most effective—things you can do to reduce the risk of cavities. Brush and floss twice per day to remove the build-up of plaque and bacteria on the surfaces of your teeth and your gum line, and you will drastically cut your chances of getting a cavity. 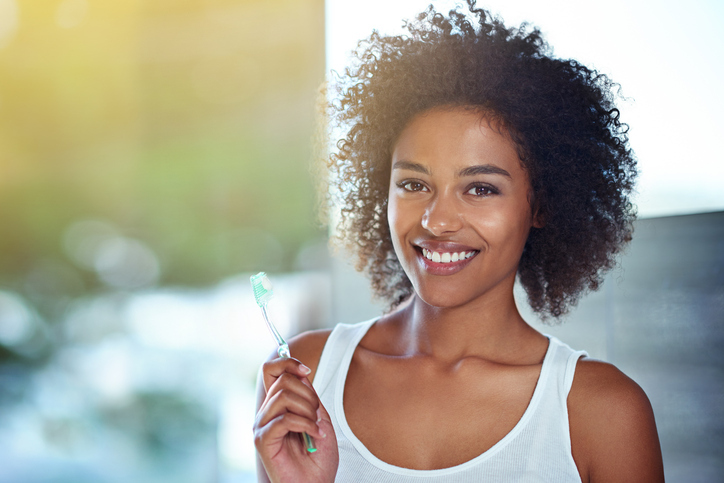 In addition to your daily teeth-cleaning regime, see your dentist once every six months for a professional cleaning, to remove any build-up on your teeth that cannot be addressed through brushing and flossing alone. Your sugar intake is directly linked to your risk of cavities, since sugar feeds the bacteria that cause tooth decay. Cutting your sugar intake overall will help to control your risk of cavities, but pay especially close attention to things that expose your teeth to sugar for an extended period of time. For example, sucking on a lollipop or slowly drinking a sugared beverage over a long period of time bathes your teeth in sugar, whereas eating a piece of candy causes a shorter exposure time. The longer the exposure, the worse it is for your teeth. Not only does sugar-free gum help to remove some debris from eating from your teeth, but it can also stop the growth of bacteria. Xylitol, the artificial sweetener used in most sugar-free gum stops bacteria growth, protecting your teeth from decay. Talk to your dentist in NYC at Park 56 Dental to find out about other ways you can keep your teeth healthy and cavity-free. Schedule your appointment for a teeth cleaning or other dental care by calling (646) 783-3529.